A cruiser kitty is not a cute, fuzzy animal. Like a meow-meow cruiser kittys require regular feeding, though in the form of cash, or occasionally some other useful barter-- anything from food and libations to gear or services. They can become very hungry beasts, ravenously gobbling up "boat bucks" ($1000+ expenses) with shocking rapidity! Yes, dear Galley Wench Tale readers, I confess that in addition to offering some escapist entertainment and the periodic useful bit of useful info, my intent is not just to write for love, but also for more pragmatic sustenance. As the Galley Wench, I am willing to work for food or whatever else we need to stay afloat. Yet my blog was looking kind of tatty. Graphically, it needed a little face-lift before I went a-wooing sponsors. Time was running out -- our mailing address will soon evaporate and I was too embarrassed to approach sponsors looking too much like the little match girl. 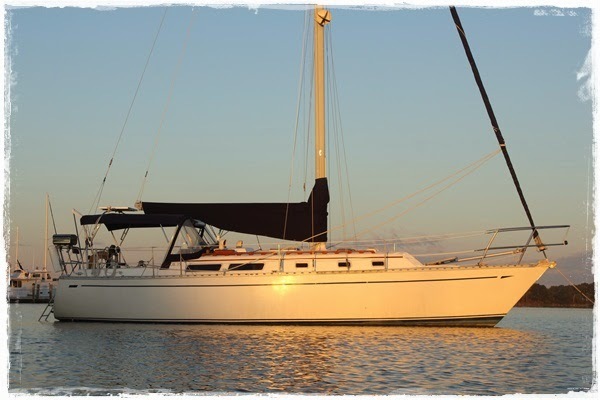 Enter Melody, of Saving to Sail -- "One couple's tale of budgets, boats and keeping the dream alive." 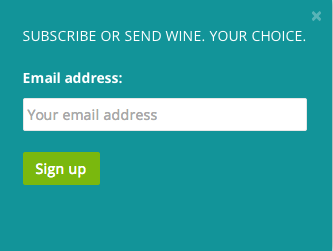 How can you not want to hire someone whose blog page beseeches, "Subscribe or send wine"? writer of this blogsite subscription box? For a very reasonable, pre-determined fee, Melody quickly cleaned up my blog. Shortly after, I approached a prospective sponsor, and they said "Yes!" My first! Meanwhile, Melody gets a little closer to topping off her cruising kitty, too. and room to add sponsor ads. How did you get bit with the cruising bug? When I met my significant other 8 years ago, he just finished refitting his first sailboat. The first time I set foot on that boat, I was hooked. We were at a crossroads in our lives. We realized we were complacent, but not truly happy. We decided to move onto a sailboat and go cruising. It's been 2+ years and I haven't looked back! 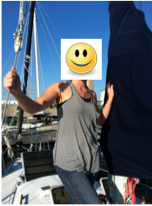 My significant other wrote a short e-book/novella chronicling our decision to move onto a boat "You Gotta Go To Know." What's kept you from cruising more broadly? We've definitely had setbacks. 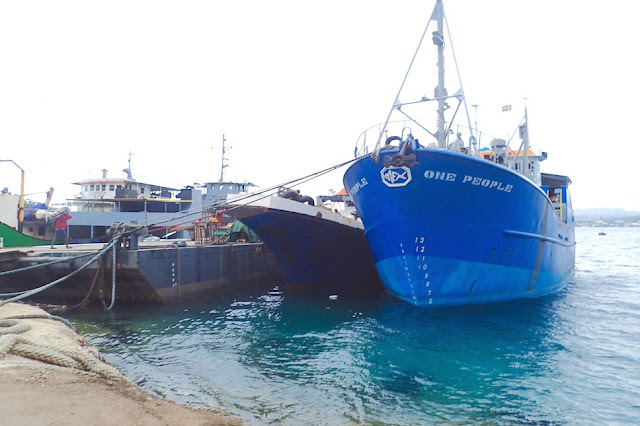 Like they say, the definition of boat ownership is fixing your boat in exotic locations! Luckily we've been "stuck" in some pretty cool places, such as Solomons Island, MD, Charleston, St. Augustine, Cocoa Beach, Fort Lauderdale.... We've been actively cruising the East Coast and Chesapeake Bay for the past 2 years, but we want to go further. The main setback is my day job. I have to have constant wifi connectivity 8-10 hours straight daily. We're working on making enough money freelancing on the side to sustain us for awhile so I can quit the day job. I don't have a profile on the blog in case my co-workers stumble upon it. It's probably not good judgement to publicly announce your plans to quit while still working your job! :). 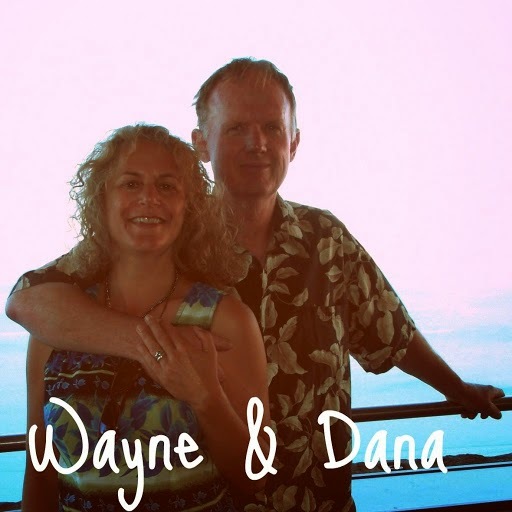 Now, many of my readers know who I am because they follow us on our main sailing blog or have read our book. I also share posts on various forums and Facebook pages using my real name. On the blog - I'm only posting my side income to serve as inspiration to others on ways they can make extra money. But, by being "incognito", I'm missing out on some self-promotional opportunities on the blog. I am excited about growing my client base. Hopefully soon will be able to ditch the 9-5 job (I work remotely for a company from the boat) and work strictly for myself. Eventually I'd like to transition to a more passive income stream, which would give us the freedom to do a lot more traveling than we're able to now. Who makes a good client, and what you can do for them? For me, a good client is one who pays. ;) Seriously though, I have two favorite kinds of clients. The first is the one who gives me full creative control and trusts me to do whatever I want - whether it be writing or web design, they trust me and like my style and let me just go nuts. Those are fun projects, although they can be challenging. My other favorite client is the one who knows exactly what they want and are able to communicate their needs precisely. While it may not be as fun as the first, I know exactly what their expectations are and can make it happen. It's all about balance, and I enjoy both. Can you share a client success story? Every time a client is happy, it's a success story to me! I love it when a client is truly happy with what I was able to do for them. Your blog is a great example of how a little can go a long way. A few tweaks here and there design-wise can make a big impact, and enhances the experience for your readers! What advice do you have for others considering following in your footsteps? Don't let excuses hold you back from going after your dreams. We've been broke, we've been broken down, yet it's only in my moments of weakness that I've come to realize my strengths, and I can say without a doubt that this lifestyle has made me stronger emotionally and physically than I ever imagined I could be. I've accomplished more in the two years I've been on a boat than in my previous 20 years on land! The cruising community is also a very special group. The education and encouragement I've gotten from complete strangers is a testament to the lifestyle we live and just how good it can be for the soul. Temporarily land bound in Jacksonville, FL, USA. Journey’s on the hard in Green Cove Springs (N29.58.9 W81.38.8) until hurricane season ends in November. Then we'll finish up our pre-cruising provisioning, boat maintenance, repairs and upgrades and set sail for the South Pacific, through the Panama Canal. Target date to set sail? December "something" 2014. Meanwhile, thanks Melody for being so fantastic to work with on giving my blog a much needed nip and tuck. May you cruise to your desired destinations soon! 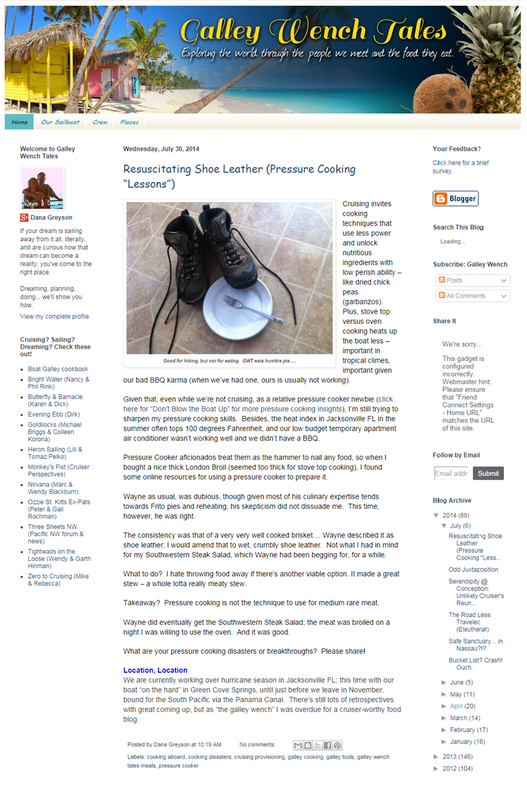 Like the new look of the blog. Clean. Congrats on the sponsor! I kind of followed (copied) your lead and made some changes as well. See you out there! Thanks! Credit definitely goes to Melody! 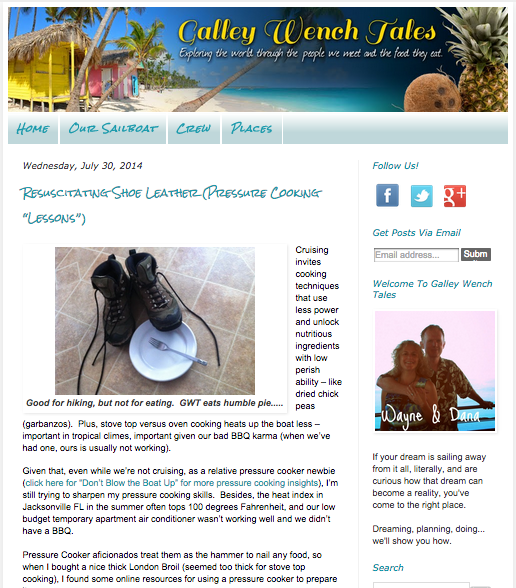 Nice changes on your blog, too! Just picked up a 2nd sponsor. Will start adding stuff on them once we're back on the boat. Soon! Splash Nov 18th and cruising resumes sometime in December. Looking forward to reading Deb's travelog!